The "Maid of the Mist" operates only in the warmer months, from May to October, so if you are traveling from November to April you will visit the Journey Behind the Falls instead. 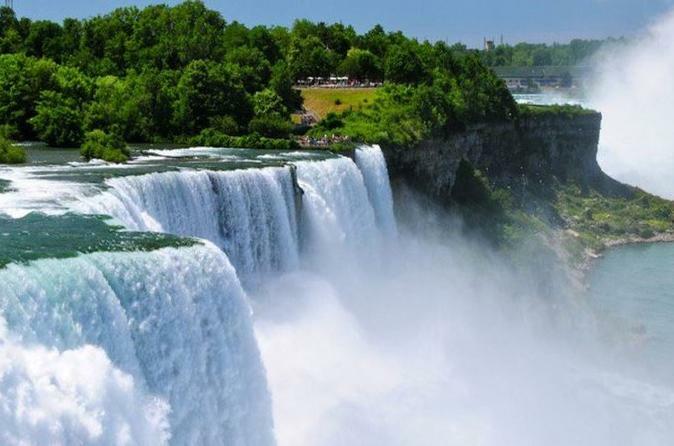 An elevator takes you behind the great sheet of Niagara Falls for a thunderous up-close view of Niagara Falls. This tour is likely to sell out! The Niagara Falls Day Trip from New York by Air regularly sells out weeks in advance, so book ahead to avoid disappointment!